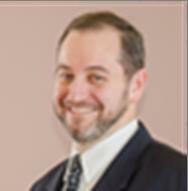 Dan Neugroschl received an MS in Materials Science from Columbia University in 1989. Dan was a researcher at IBM Research, Yorktown Heights from 1989-1991 in Advanced Packaging. He then served as VP of Operations and Advanced Development as a co-founder of Schick Technologies (currently Sirona Dental Systems), which develops and manufactures digital radiographic imaging systems for dentistry, from its inception in 1991 until 1998. He subsequently co-founded Chiral Photonics in 1999 and serves as its President and CEO. Chiral Photonics develops and manufactures fiber optic components in addition to offering photonic integrated circuit coupling and packaging services. 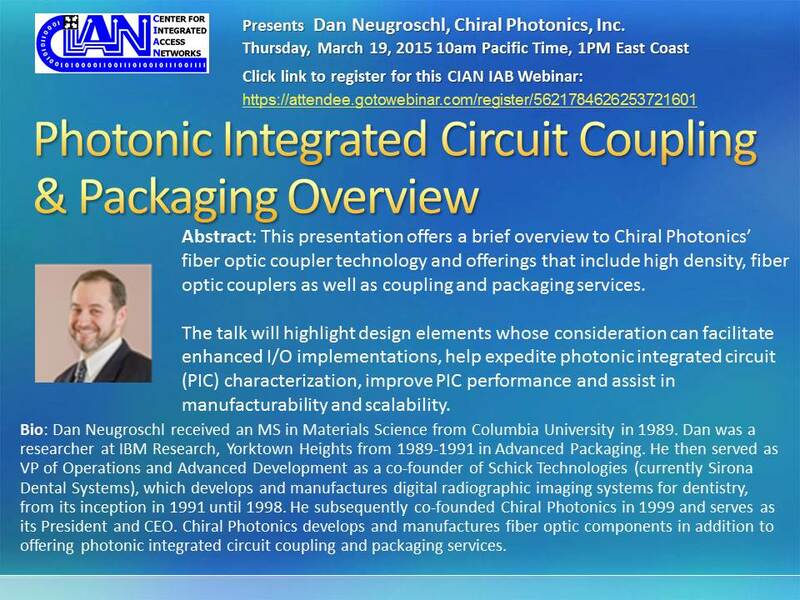 This presentation offers a brief overview to Chiral Photonics’ fiber optic coupler technology and offerings that include high density, fiber optic couplers as well as coupling and packaging services. The talk will highlight design elements whose consideration can facilitate enhanced I/O implementations, help expedite photonic integrated circuit (PIC) characterization, improve PIC performance and assist in manufacturability and scalability.